Before the start of the 2018 NFL season, an article was published that had the entire NFL talking, because it featured Jalen Ramsey talking massive amounts of trash towards certain quarterbacks in the league. He also had something to say about the NHL, when he boldly stated he could crack the NHL with just six months of training. Current NHL stars found that to extremely disrespectful. 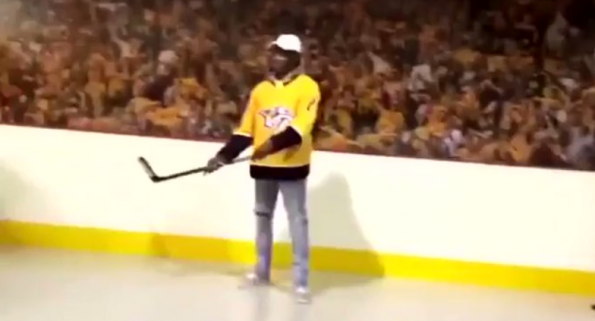 Months later, the Jacksonville Jaguars cornerback began to back up his words by taking some shots on the ice while draped in a Nashville Predators jersey. It must be noted that he did not have skates on, mainly because he doesn’t know how to skate. Even though he'd never skated before, @jalenramsey said he could play in the NHL after training for 6 months. NHL players didn't buy it.